If you are heading to the north at Nusa Lembongan Island at along the coast of mangrove, you will then find a little house signed as Bali Wood Carving. This house belongs to an old friendly artist who will excitedly show you around his unique wooden arts collections. 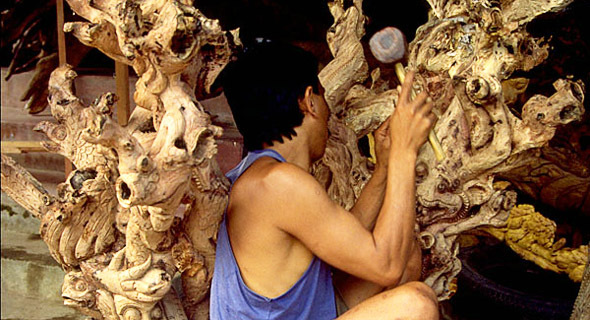 The collections are mostly carved out from the mangrove roots. From his house, it's another 30 minutes of pedaling back to Jungutbatu through dense coastal vegetation. If you want see "Products Catalogue of Carving, click here! !